Fenugreek ( Trigonella foenum-graecum) is an annual green plant. It belongs to the family - Fabaceae. It is known as Methi in Hindi. The tender green leaves are eaten as a vegetable. The leaves are bitter aromatic and nutritious. The plant when mature bears pods with seeds. The seeds are tiny, hard, oblong and brownish yellow in colour. The seeds are bitter. Fenugreek is one of the oldest cultivated medicinal plants. The leaves are used as a herb and the seeds are used as a spice. The seeds have a great medicinal value. The seeds contain mucilage, volatile oils and alkaloids. They also contain iron, sodium, thiamine and selenium. Traditionally, fenugreek seeds been considered a digestive aid that stimulate gastric activity and improves appetite. It is carminative. It is a natural expectorant. It relieves coughing, sinus, congestion in the lungs and also removes excess phlegm. It is a laxative. Fenugreek seeds are used in treating boils and cysts. The seeds are powdered and added to the poultice. It reduces swelling and prevents infection. The mucilagins in the seeds soothe the inflamed tissues. Fenugreek is diuretic. It also stimulates perspiration and brings down fever. It also controls certain allergies and removes toxins from the respiratory system. A lot of research has been done on the positive effects of fenugreek seeds in controlling Type1 and Type2 diabetes. Regular consumption of fenugreek seeds are believed to lower serum cholesterol and triglycerides. Fenugreek seeds are believed to increase the number of insulin receptors in blood cells and thus improve glucose utilization in the peripheral tissues. The amino acids present in the seeds may stimulate insulin secretion. 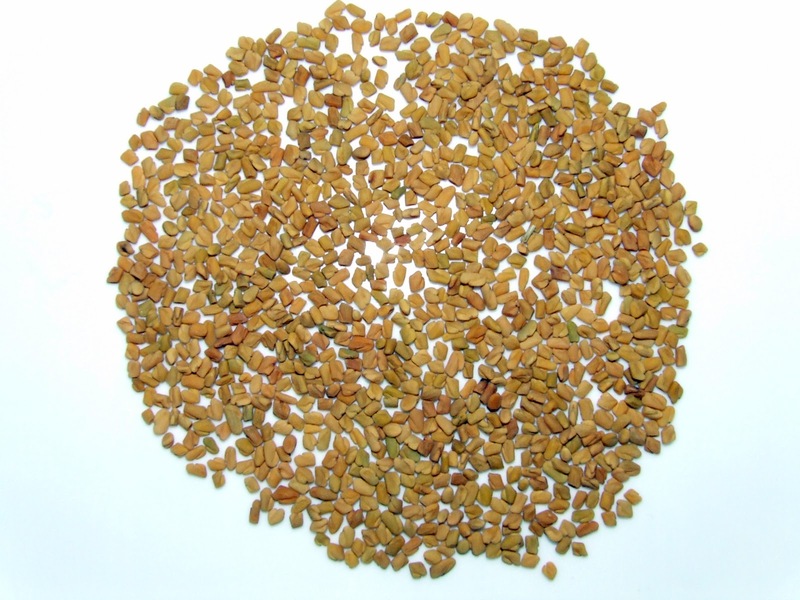 Fenugreek seeds also stimulate breast milk production in the feeding mothers. Besides curative powers, Fenugreek also has culinary uses. The leaves of the plant are shade dried. Dry leaves have a very strong aroma and are used as a seasoning. Dried leaves are used in papads, khakhras, chapattis and breads. Fenugreek seeds are used in pickles and chutneys. The seeds are also used for seasoning. The seeds are roasted, powdered and used in curries along with other spices. A decoction made by boiling roasted and powdered seeds in water is popularly had to aid digestion. It has a strong coffee like aroma. It is also had as a substitute for coffee. During winters, methi seeds are consumed by adding them to the laddos. In south, fenugreek seeds are powdered and put in the dosa and idli batter. A teaspoonful of sprouted fenugreek seeds can be had with breakfast. Methi seeds are a very good conditioner for hair. A paste made by soaking the seeds overnight and grinding them to a fine paste and mixing with curd is applied to the hair. 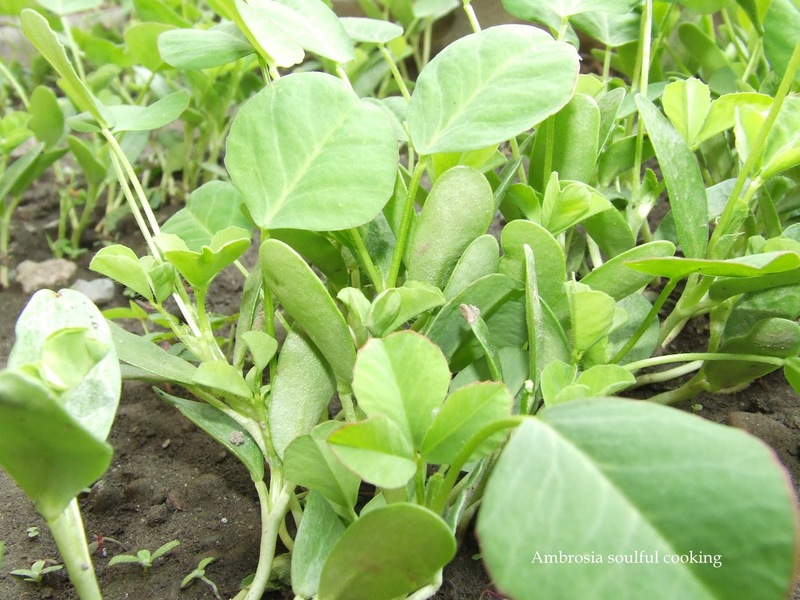 Fenugreek can be easily cultivated at home. It can be grown from the seeds. It requires a lot of sunlight and well drained soil. The tender leaves and stem can be used for vegetable. Tender leaves can be plucked and shade dried. Seeds can be obtained from the mature plants. Fenugreek is also used as a feed for livestock. Fenugreek is a leguminous plant. It fixes nitrogen and thus enriches the soil.